Adjusted since she was 3, Dr. Miranda has grown up benefiting from pediatric chiropractic care. She received adjustments on an as-needed basis. When she was 12, she experienced an illness that was missed for two months by her medical doctors. “My chiropractor was the only one to finally figure out what was wrong. That doctor instilled the importance of chiropractic and opened my eyes to what chiropractic can do.” Thanks to her positive experiences with chiropractic Dr. Miranda decided at age 12 to become a chiropractor. Dr. Miranda earned her Doctor of Chiropractic from Palmer College of Chiropractic in Davenport, Iowa. While at Palmer she developed a love for taking care of pregnant women as well as children. To further her education, she is studying for her diplomate in pediatrics. She particularly loves helping children because they’re so moldable. As it’s much easier to grow a healthy child rather than fix a sick adult, Dr. Miranda wants to help kids get the healthiest start at life through chiropractic. A prenatal certified chiropractor, Dr. Miranda is accredited in the Webster Technique. She has done extensive training in pediatrics, and is working relentlessly to always learn more to better serve kids. She is still training with Epic Pediatrics, and is a member of the International Chiropractic Pediatric Association (ICPA) and the Iowa Chiropractic Society. 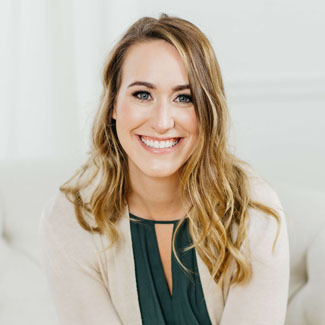 In addition to her training in pregnancy and pediatric chiropractic, she is also trained in extremity adjusting and has taken additional coursework in that area. Dr. Miranda is married to her high school sweetheart, Steven, who is an elementary school teacher. They recently adopted two Goldendoodles, Charlie and Tucker, and love to spend time playing and cuddling with them. Dr. Miranda lives a congruent chiropractic lifestyle of eating healthy and working out. Her activities include spending time outdoors, dates with her husband, spending time with family, playing cribbage, and reading, particularly growth-oriented books. She grew up on a farm raising cattle, and can’t wait to get back to the farming lifestyle. She goes back home to enjoy it any chance she gets. If you would like to experience the best health possible through natural chiropractic care, we invite you to make an appointment with Dr. Miranda at Cultivate Chiropractic!